for you and your customers.. 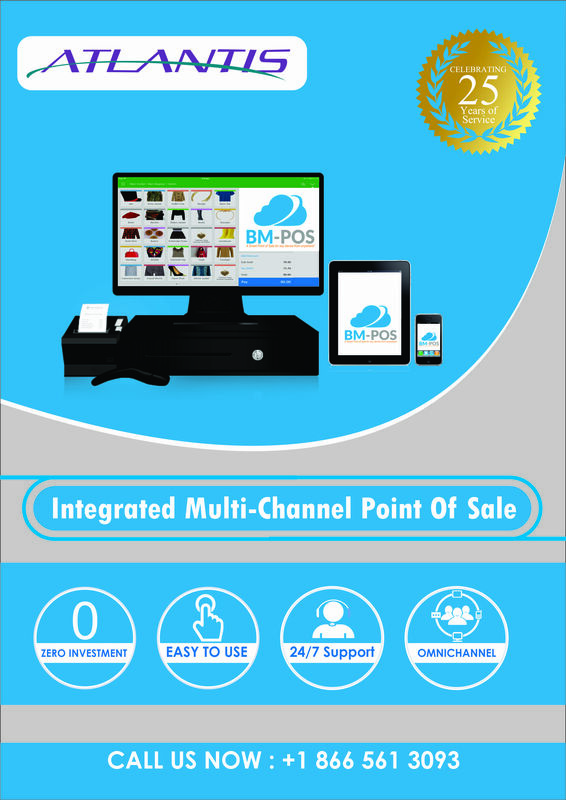 Simple, Robust and complete end to end Cloud ERP for distributors and wholesalers..
Atlantis is one stop shop for Cloud ERP, Manufacturing ERP, Point of Sale (POS), e-Commerce, Mobile Restaurant Apps and IoT (Internet of Things) Solutions. Atlantis has been providing Business Automation services for more than 25 years, to Federal, Provincial, State government institutions and small and medium-sized enterprises. State of the art robust ERP solution for discrete manufacturing. Our e-Commerce solutions, will take retail to next level, intuitive UIs, fully integrated with back office. 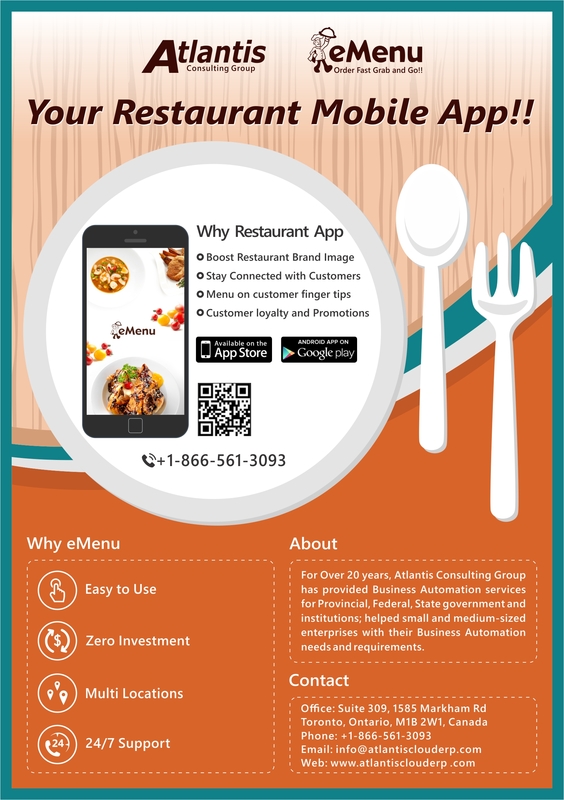 State of art Restaurant Apps, for today's ever increasing hospitality industry. Documentation of our products, along with some of industry case studies. Virginia Department of Conservation – Division of State Parks has been using the Virginia-designstyle-i-love-mBusiness Manager Matrix and POS system since 2004. We love the system. BMPOS is easy to set up and for our staff to use. My company’s utilization of Atlantis for over a decade is based upon the quality of the support we have and continue to receive. We are a small chain of health food stores that also sells on Amazon and Bonanza plus wholesale to foreign countries.We have used Atlantis to create invoices, Control inventory,information on over 20,000 accounts,prepare marketing analysis as well as Profit and Loss Statements. You can always rely on them day or night!! I can not say enough good about this company!!!! Everyone whom works there is always so helpful and you can always rely on them day or night!! Our company has gone through a lot of changes is the past year and Atlantis team has gone above and beyond in helping us to have a nice change over. In my opinion you can not go wrong in anyway if you choose this company!!! Atlantis Consulting Group India Pvt Ltd.